First Nations researchers in Manitoba sound a warning note. Deformed berries in the study area. Standing Medicine People Project photo. Researchers from three reserves in south-central Manitoba, Long Plain, Swan Lake and Rolling River, have teamed up with the charity, “Food Matters Manitoba,” (FMM) to conduct the project. 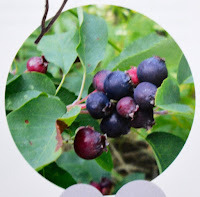 They collected samples of six wild plants which grow there – pin cherry, saskatoon, nannyberry, raspberry, grape and the medicinal herb, wiike (or sweet flag). Indigenous gatherers throughout North America have harvested them traditionally as both food and medicine, for centuries. The team submitted the samples to “ALS Laboratory Group,” a certified lab in Winnipeg. There, they were analyzed for 103 different pesticides and heavy metals. The lab detected several in either the roots, the soil, or both. However, most of the readings were well below levels of concern. In other words, the risk of getting sick from environmental contamination is low. And, if certain precautions are taken, the berries and herbs are still considered safe to eat. Using a Health Canada formula known as a hazard quotient (HQ), it was determined that average concentrations of contaminants in the wiike samples, “exceeded HQ thresholds.” Nevertheless, the research team concludes, gatherers should continue to harvest and eat wiike, but only after taking precautions. “On average, harvesters should gather wiike from clean areas and use it moderately, brushing off the roots and each should consume no more than 20 grams (half a thumb’s length), per week." Wiike grows in woods, marshes and along shorelines. Throughout history, many tribes have dried its roots, either eating them directly or boiling them to make tea. 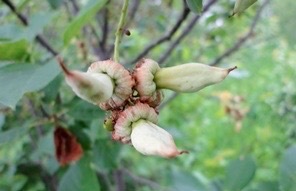 It is a common medicine used to purify blood and many other ailments. Other pollutants detected were two herbicides still in prolific use today; glyphosate (the active ingredient in Roundup) and 2,4D. These two chemicals, in particular, were "widespread, having been detected in all soil samples regardless of distance from agricultural areas." But their concentrations are considered “too low to be significant and well below” that HQ threshold referred to earlier. Fortunately, contaminants were found only in the roots or soil, none in the fruit itself. 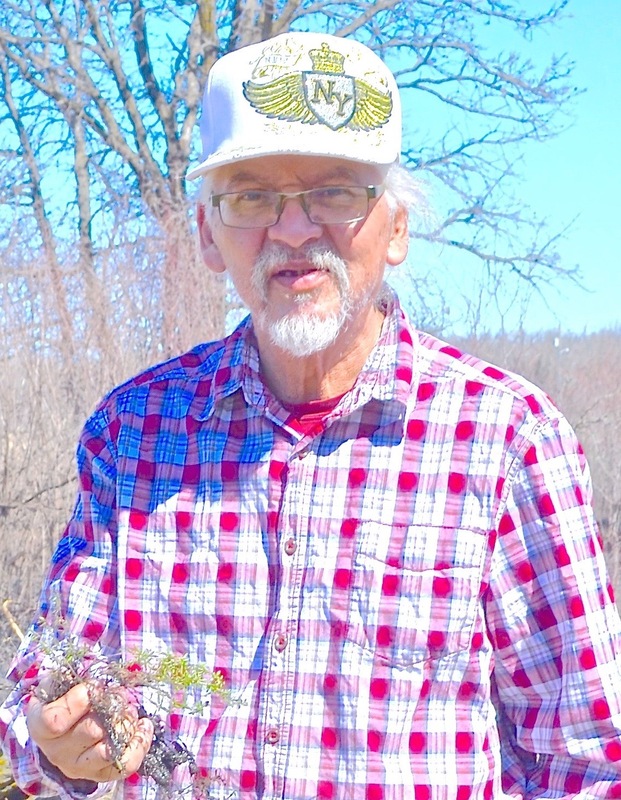 In this exclusive interview with PinP, Dave Daniels, an elder on Long Plain First Nation, says he believes he knows why. Dave Daniels, herbal plant specialist. Distrust of the Nearby Farming Communites Still Lingers. The Band Members Involved Are No Strangers to Health Problems - Study. It showed people living there had the highest "premature mortality rate" (PMR) of any Manitobans, aboriginal or not! In other words, they had poorer overall health, a greater number of symptoms, more illnesses and were dying younger than anyone else in the province! The men, for example, were dying, on average, before 65 (compared to 76 for the general population). Obviously, many things determine the health of individuals and communities. But other points made in the health study are also worth noting in the context of this story. Even aboriginals living in northern Manitoba, further away from spray-fields (even further away from major health centres), were healthier. Fewer than five people per thousand of those living within the (northern) Keewatin Tribal Council, for example, were dying prematurely. That figure within the Dakota Ojibway Tribal Council was more than nine. More than six people per thousand living there had amputations relating to diabetes, also the highest rate in the province. And their rates of referral to specialists, were the lowest. Similar Hazards Have Faced Wild Plants for Decades. Daniels can testify to those conclusions. He also helped co-ordinate an earlier study on the same Manitoba reserves in 2012. It included berries not tested in this latest phase; chokecherries, Indian bread root, cranberries and hawthorns. It observed declines in the overall “abundance, quality, taste, potency and general appearance” of all of them. Daniels and others also speak of dramatic decreases in the animals, birds, insects and flowers they see around them. Not many people harvest the wild fruit and herbs any more. But those who do are now being urged to be even more cautious; to stay way from spray-fields or other places where chemicals are more likely to be used - busy roadways, hydro lines and places where fuel might spill, like boat launches. Meanwhile, Daniels says his Chief and band council on Long Plain are drafting zoning changes to accomodate "safe zones where gatherers can have assurance that their traditional plants will be safe to consume." He believes Swan Lake and Rolling River are doing the same. "WHEN OUR WORLD WAS CREATED, everything we needed for life had been provided. The land has shared everything we needed for our health, this includes mashkiki. 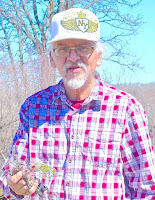 The berries and the many plants found in Anishinabe territory have helped us and have sustained us to ensure our responsibilities to the next generation and to look after the land. They continue their responsibilities, as we do, despite the many challenges we face today. The strength and spirit of mashkiki is powerful, it provides us with the connection to our history and power of our people, and helps teach us about helping one another. "The Anishinabe has always had a connection to the land. The challenges for some people today is attaining the traditional knowledge that has been passed through the generations about the plants and berries. We need to continue to help each other to find ways to promote anishinabe bomatzowin to our young people by taking them to the land." The Standing Medicine People Project. First Nations people agreed to share the lands they occupied with settlers for the purposes only of settlement and immigration. They signed sacred treaties with the Crown and were guaranteed access to the wild food and medicine sources on all other lands. Most settlers and immigrants believe that they have an absolute right to do what they want with their "property." They believe that what have been taken as "Crown Lands" belong to the settlers and immigrants and these lands are resources for "Canadians" to use and benefit from. As such, water is extracted for irrigation and communities from rivers and surface waters that rightfully are part of traditional territories. Water is polluted with impunity by many sources. Waterways are dumping areas for sewage, excess nutrients from cities and agricultural lands, chemicals from industrial cropping practices, anti-biotics and endocrine disruptors from livestock production and modern medicines (among other things). Lands and air pollution is increasing. The amount of chemicals that are used to grow crops is reaching dangerous proportions. I don't spray but I can't get away from the chemicals used by neighbours. They drift in the air when applied, move in the water and are deposited with soil eroded by wind and water on the land I try to protect. Indigenous peoples have always had the medicines they needed and the nutrition to keep them healthy, gathered from and provided by Mother Earth. I do what I can to minimize negative impacts from producing food on Mother Earth, people and the creatures that we share this planet with. That's not enough. Until food producers and eaters understand that we all are part of the web-of-life and it is this web upon which our health and lives are dependent and intertwined and we and our health is connected with the health of all living beings (especially plants and soil fungi and organisms) we will continue to do harm. Indigenous people didn't agree to share with us in this way. They didn't agree to our destroying mother earth. Not only are we disrespecting each and every indigenous person's right to inter-generational health and a "good life" as traditionally understood,we are actively destroying our own ability to have a good life and the ability for future generations to have one too. I know from direct experience the traumatic effects of the increasing frequency of stillbirths and health complications of indigenous children on families and communities. This effects remain with people their whole lives and require constant work at healing. People are increasingly nervous about using traditional medicines and food. I am too. Even when it is gathered on the land I occupy that is kept as clean as possible. The use of these medicines was never designed to be used to treat modern disease caused by toxins. These toxins did not exist and the medicines worked. It stands to reason that if the medicines themselves are toxin-laden, they are likely not to be effective in treating toxin induced diseases. Indeed, they, as the researchers suggest, can become part of the problem if the toxins they contain are ingested in too large of quantities. Industrial agriculture methods, focused on increasing volumes and ease of production is harming sources of indigenous food and medicines. The "safe" levels of toxins are never considered in combination with the mix of other "safe" levels of toxins that are put together on the land and in the water and air. I hope the researchers look into the synergistic effects of combinations of chemicals applied on fields in a year and year after year. We all have a responsibility to be decent neighbours. That means, we, as farmers and urban people must take into consideration what harm our actions and choices have on others and, especially the ability for indigenous peoples to live in balance with and receive healthful sustenance and healing from Mother Earth.